Two people charged in the death of a Staten Island teacher appeared before a judge today. Roseanne Colletti reports. The children of a murdered Staten Island teacher were in the car with their mother’s burned remains as their father and his girlfriend allegedly drove to a storage facility to discard of her body, a report claims. Authorities say Jeanine Cammarata, 37, was killed by her estranged husband, Michael Cammarata and his girlfriend, Ayisha Egea, who then allegedly dumped her body in a garbage bag, surrounded by air fresheners, at a storage facility a few miles from where she lived. The Staten Island Advance reports, citing law enforcement sources, that after she was killed, Michael Cammarata packed their kids, ages 3 and 7, into the car and drove to the storage center with their mother’s remains. Jeanine Cammarata had been missing for nearly a week before her burned body turned up. Michael Cammarata and Egea both are accused of second-degree murder, concealment of a human corpse and tampering with physical evidence, according to a criminal complaint. If convicted of murder, each faces a sentence of 25 to life. Michael and Egea appeared in court Thursday. Although the Richmond County Distrist Attorney handed two indictiments on felony charges, prosecutors wouldn't say what they are. However, since the felony certificates have to be submitted for bail application, the judge may ask prosecutors to reveal what the felony is although it is not necessary until the arraignment. The defense protested the unspecified felony indictments against Michael and Egea. Purple ribbons and flowers covered the fence surrounding the PS 29 school where Jeanine Cammarata taught on Thursday, a show of solidarity for her and other victims of domestic violence. Teachers lined up along the sidewalk, wearing purple, to greet their students as they remembered the educator who warmed all their hearts. The principal of PS 29 said children would wear purple on May 3, a school kindness day, and go out into the neighborhood to do acts of kindness in Jeanine Cammarata's memory. The public elementary school teacher hadn't been seen publicly since the night of March 30 at her home on Staten Island. 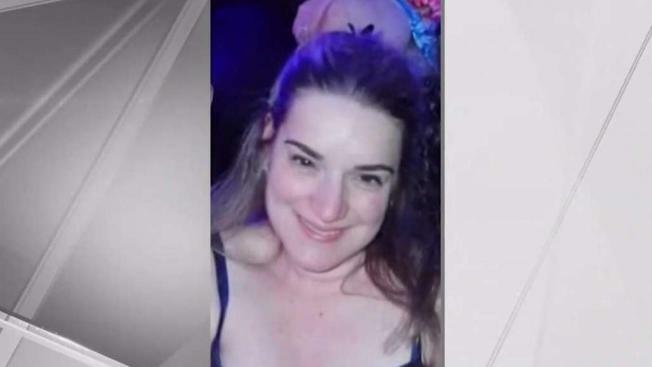 Eric Gansberg, who was representing her in ongoing divorce proceedings against Michael Cammarata, told News 4 the missing woman had been heading to her husband's Queens home to see their children the night she disappeared. Gansberg said Jeanine Cammarata was "terrified" of her estranged husband, and that if something nefarious happened to the woman, it was likely at his hands. Gansberg said Michael Cammarata had custody of the children because Jeanine was living in an apartment she felt wasn't suitable for them. Jeanine Cammarata worked two jobs -- one at an elementary school and one at a Dollar Store -- and hasn't shown up for either of them this week, which prompted a missing persons report. The couple had no legal custody agreement involving the children.